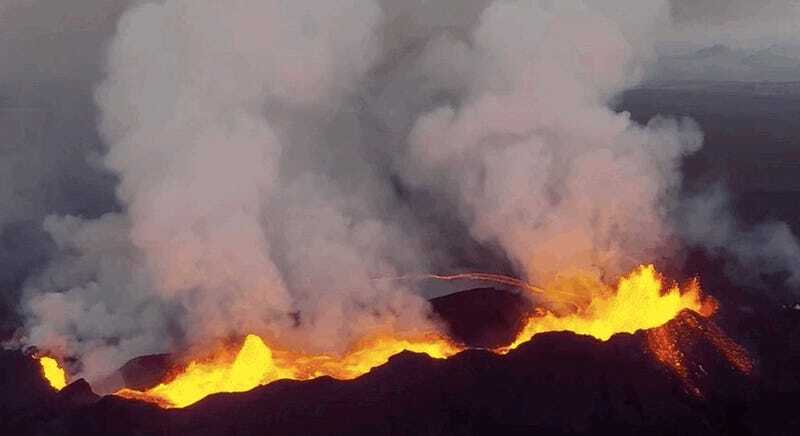 Iceland's Bárðarbunga eruption has unleashed a huge quantity of lava — enough to create a landmass the size of Manhattan. 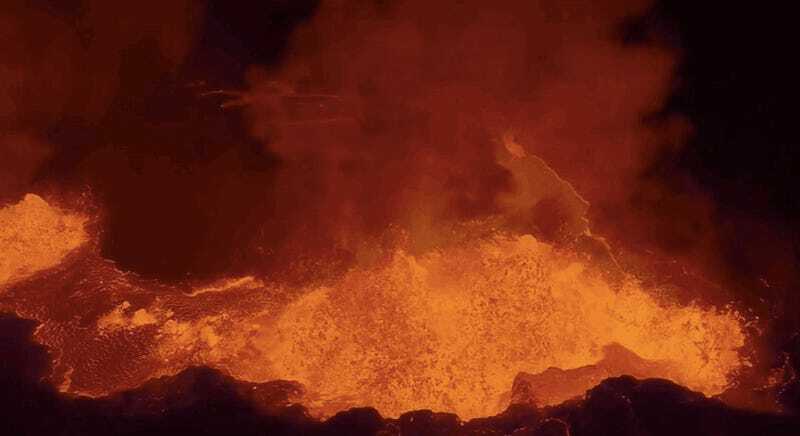 What would it be like to watch that terrifying explosion from inside the volcano's cone? Now you can see for yourself. 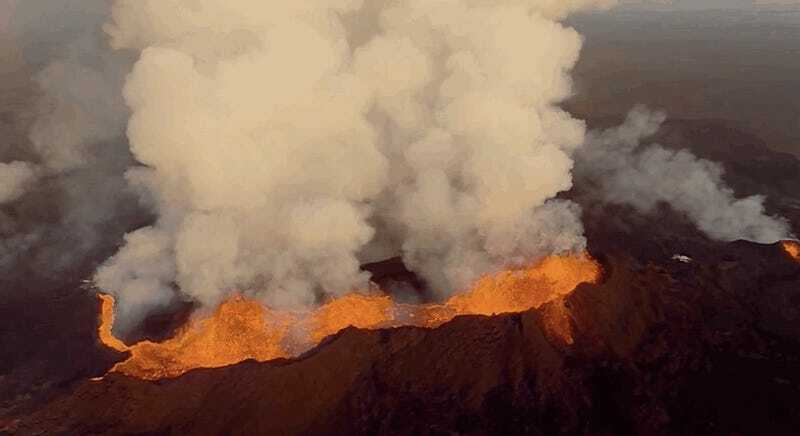 Check out those splashes of lava breaking on the volcanic shores, just like a wave on a rock! Here's the whole video, as shot via drone by Eric Cheng of camera drone manufacturers, DJI. Cheng explains in a making of video that getting the footage resulted in a melted camera face. The SD card, however, survived, giving this footage possibly the most legit claim to the phrase "face-meltingly awesome" ever.